As more attention on addiction increases rehabilitation resources, more community stewards are recognizing the value of creating a healthy recovery community. One of the emerging opportunities is to open a sober living home. The need is apparent, but is now the right time for you to open your own? Let Ascension help you make that decision and guide you through the process. Opening a sober living home is not as easy as just buying or renting a home and opening the door to those in addiction or recovery. Whether it is a non-profit or private venture, a sober living home is a fully operational organization with customers, personnel, regulations, financial transactions and more. Ascension provides start-up consulting services to individuals of communities interested in opening a sober living home. Have you hit a roadblock during the development of your Sober Living Home? We can help. During the first phase of development, Ascension will conduct a feasibility study to determine the best location, business model, referral sources and support services for the proposed sober living facility. Our expert staff will work with you to develop a budget and pro-forma financial analysis based on the realities of your unique situation and geography. These decisions will shape programmatic and operational plans and identify resources needed during development. During Phase Two, we begin by developing a budget based on the owners’ / entities’ desires and financial tolerability. Start-up capital is usually comprised of cash and financing activities, with a goal of recuperating capital contributions through operating activities in the first couple of years. We will also assist the owners with setting up the appropriate business structure and will further investigate the regulations and code specific to the state your facility will be operated in, which will translate through all phases of development. Program material development: Creation of house rules, intake package, policies and procedures and all other program materials needed to run a successful sober living home. 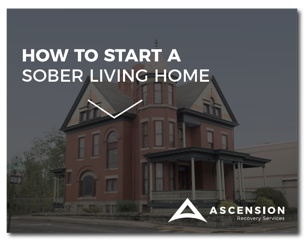 After a successful launch, Ascension can reduce involvement yet continue consulting on how to run a successful sober living home. During the first year, the new operator of the business will require occasional support on organizational and operational matters, which is not a daily or weekly need. A typical engagement scales Ascension’s time back in the early months, and the team can be available for ongoing or periodic consultations as needed. With expert guidance to navigate the challenges of opening a sober living facility, you’ll have peace of mind and more time to focus on providing the complete place of healing. Ascension usually stays on and consults through an initial period of operation to help the owner ensure operational excellence and is then available for consultation on an as-needed basis. From analysis and planning, to operational programming, to marketing planning and community relations, our team has the experience and capabilities to effectively launch an organized and professional sober living home. Are you ready to start a sober living home? Sober living homes are a crucial part of the recovery process and extremely important to the long-term recovery of those who have gone through treatment for addiction. The value of sober living homes has been verified through several industry studies, and the combination of sober living homes and Intensive Outpatient Programs (IOPs) is proven to have a high rate of success. This same group is 10 times more likely to avoid relapse than those who take part in neither sober living nor outpatient treatment. 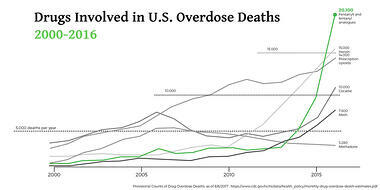 This is a disturbing but accurate look into the scale of the drug overdose epidemic in the U.S. The need for more sober living homes, treatment facilities, and Intensive Outpatient Programs is real, and will be real for some time.